Refined through the sands of the Sahara, over the peaks of the Rocky Mountains, and many places in between, the URSA Major Titanium is the culmination of years of design. Form and function meet for the ultimate fat-bike. Fast on the trail, reliable in the backcountry. 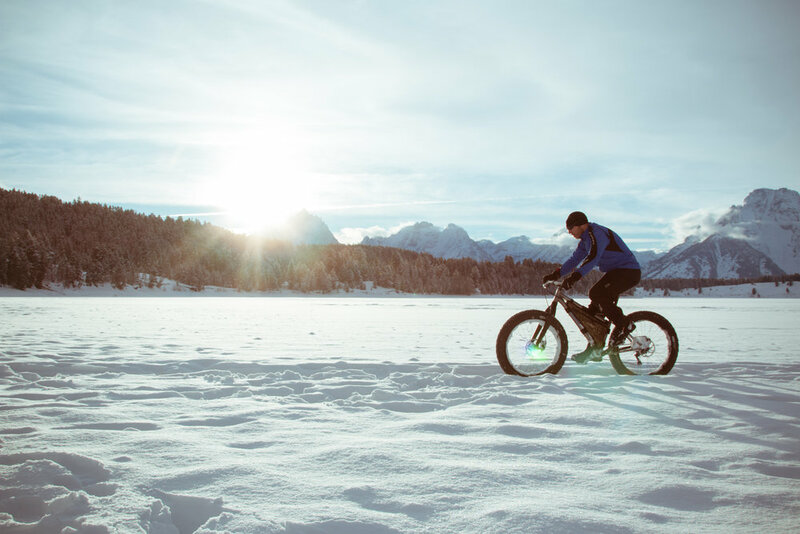 The URSA Major Titanium is our ultimate fat-bike. This machine continues the tradition of high performance and ultra durability that riders expect of our made in USA, CHUMBA frames. Our trusted URSA Major Backcountry models have been tested worldwide by our team of riders. The geometry is designed for all year riding, providing confidence in your front end handling w/ a rigid fork or suspension. It's short chainstays and high bottom bracket are equally at home on the rockiest trails and deepest powder. We've extended our top tube brace into a comfortable handle that makes maneuvering your bike in deep snow or up impassible terrain easier. The URSA Major Titanium, our newest addition to our MADE IN USA line-up, is ready to order w/ 4 complete builds, in frame only, frame/fork combos or as a full custom build! Visit our store or your local CHUMBA dealer for more information. Have a question? Answers are only a few clicks away!